What a great Blog Hoppin' Week this has been! 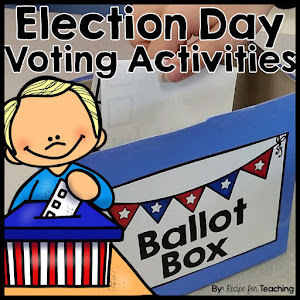 I've been able to read a lot of awesome ideas this week from other teachers which is a lot of the reason I wanted to participate in this myself! 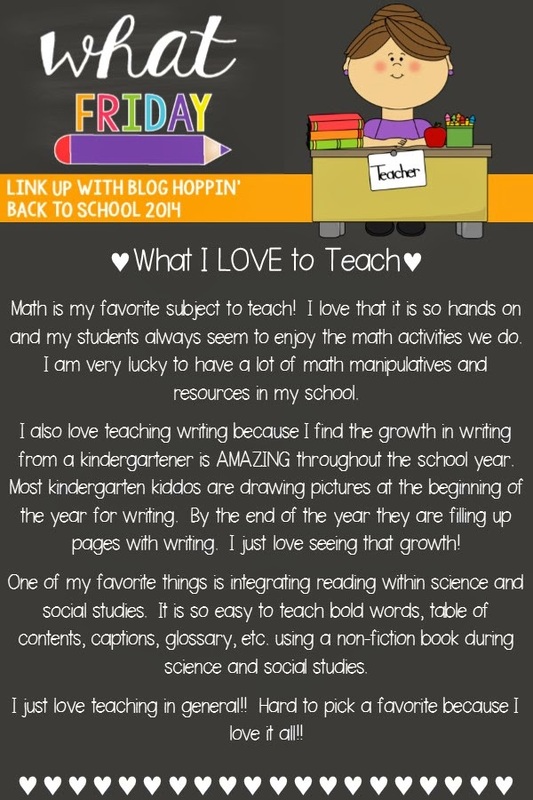 Here is a little about what I love to teach! 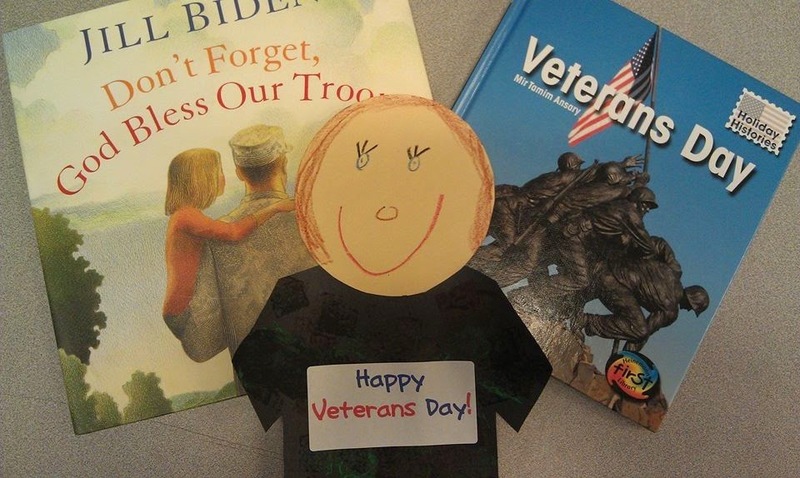 Veterans Day - I LOVE doing this activity with my students! 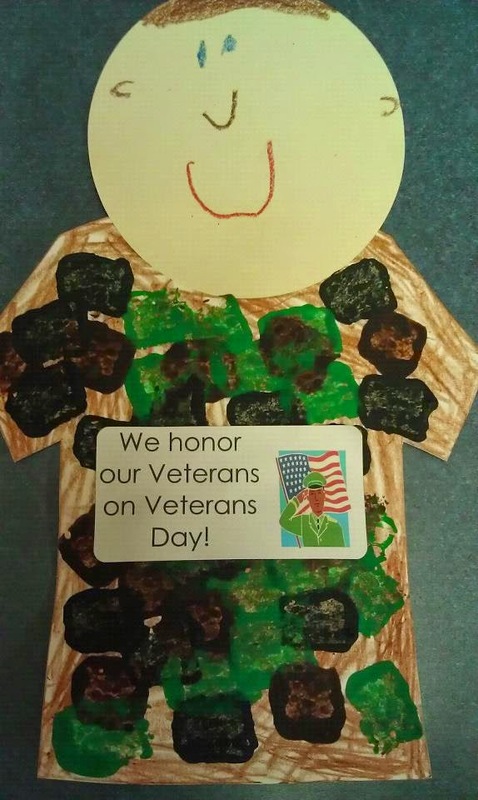 I think it is so important to teach students about important days such as Veterans Day. Students use a sponge to make the shirt look like camouflage. Penguins - We usually teach about penguins when we talk about what different animals do in the winter. There are tons of great non-fiction and fiction penguin books. 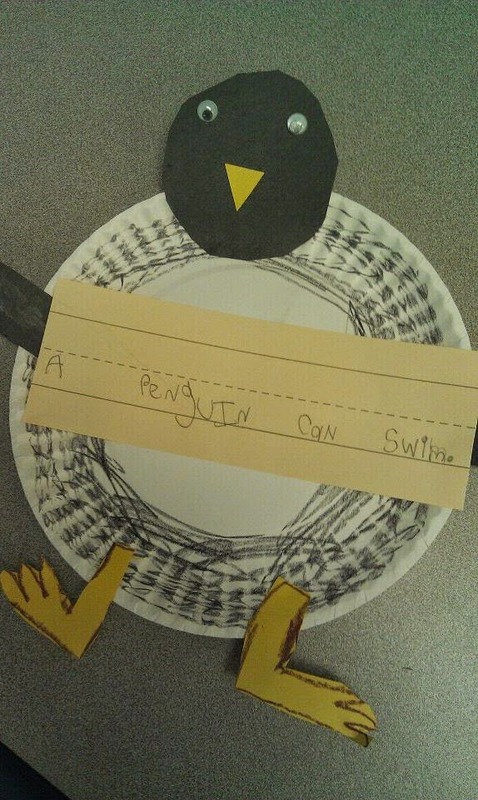 This is the cutest little penguin activity that also has a writing piece along with it. 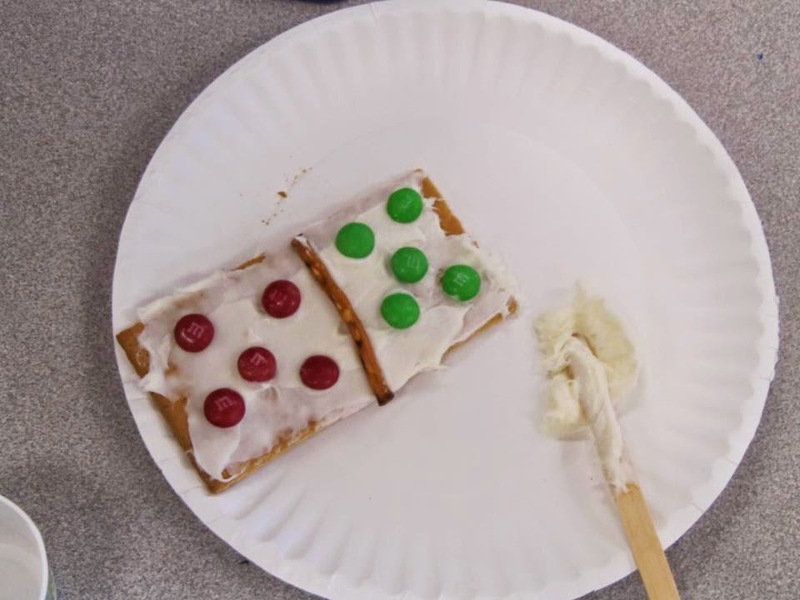 Addition with Dominoes - An edible domino for math?!?! How FUN! I usually do this with my students when we are learning addition. This is made using a graham cracker, pretzel stick, icing, and m&m candy. I have them go around and record the number sentence for the edible dominoes their friends made in their "Notebook of Learning." 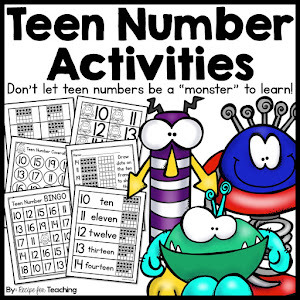 Of course at the end, they get to eat their math! The Very Hungry Caterpillar Snack - This is another fun thing to do and the kids love it! 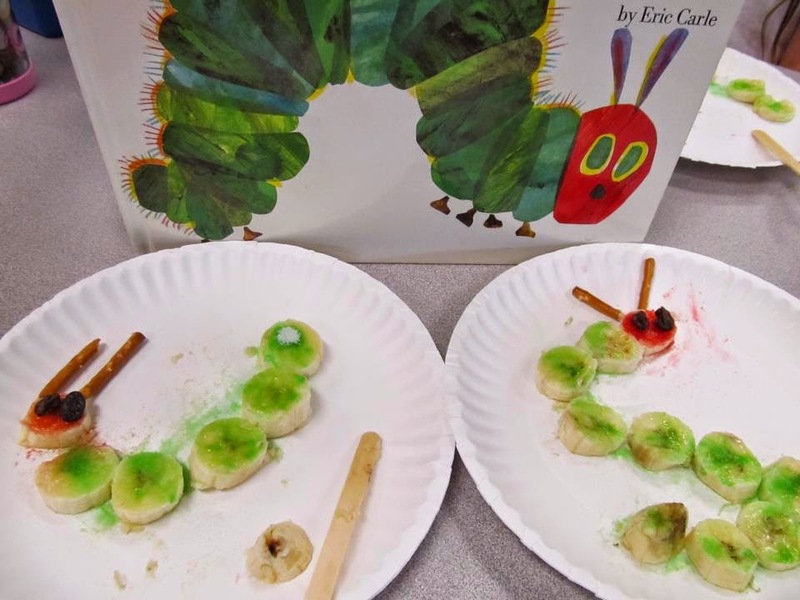 We read The Very Hungry Caterpillar and then make this snack using a banana, pretzel sticks, chocolate chips, and red and green Jell-O powder. 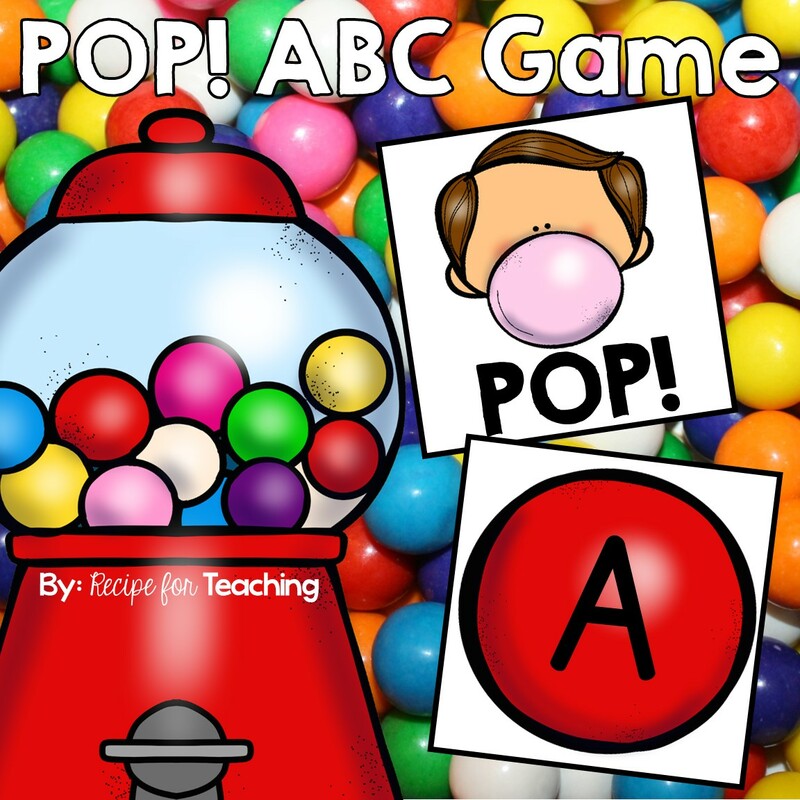 Check out my TpT store for a lot of fun FREEBIES! !